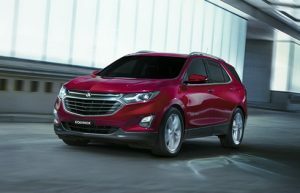 Holden is showing just how confident it is when it comes to its two newest recruits – the high-tech all-new Commodore and all-new mid-size SUV, Equinox – introducing seven-year/unlimited kilometres warranty, coupled with seven years roadside assist. “The all-new Commodore is the evolution of an icon and the feedback we’ve had from customers and media that have driven it has been incredibly strong,” says Holden’s executive director of marketing Mark Harland. “We want more and more people to come and take a look at just how good these vehicles are and experience some of the great engineering work from our talented engineers = our new seven-year warranty on Commodore and Equinox shows just how confident we are,” Mr Harland said. There are more impressive offers elsewhere in the range, with all other 2018 plate vehicles eligible for five year warranty and five years roadside assist. The 2018 plate Colorado and Trailblazer models not only gain five year warranty and five years roadside assist, they also come with three years free scheduled servicing, based on service intervals of nine months/15,000km. Finally, all 2017 plate Holden vehicles – new and demonstrator – are eligible for three years free scheduled servicing, five-year warranty and five years roadside assist. “We‘ve got a laser-like focus on providing our customers with peace of mind when they buy a Holden, and with extended warranties across the range and world-class new products, now is a great time to buy a Holden,” Mr Harland said. Holden’s new range of outstanding retail offers apply to models purchased by the end of this month, March 31.